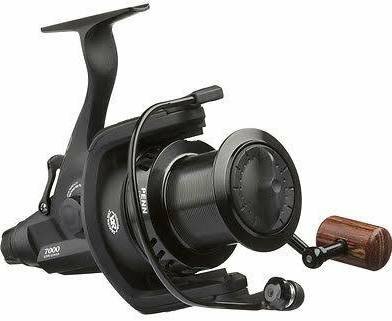 The Penn Affinity 7000 special edition black carp big pit reel, certain to take the carp market by storm with its superb modern styling, very high specification for the price and all the penn quality build and performance. Features include the following: Perfect Size Carp Reel. Long Stroke Forged Aluminium Spool (Accepting 400M+ Of 15Lb Mono) Spare Spool. Slow Oscillation Provding Perfect Line Lay. Super Smooth And Accurate Quick Turn Drag System. 9+1 Stainless Steel Shielded Bearings. Titanium Main Shaft Rotar Brake System. Manual Bail Arm Titanium Bail Wire.